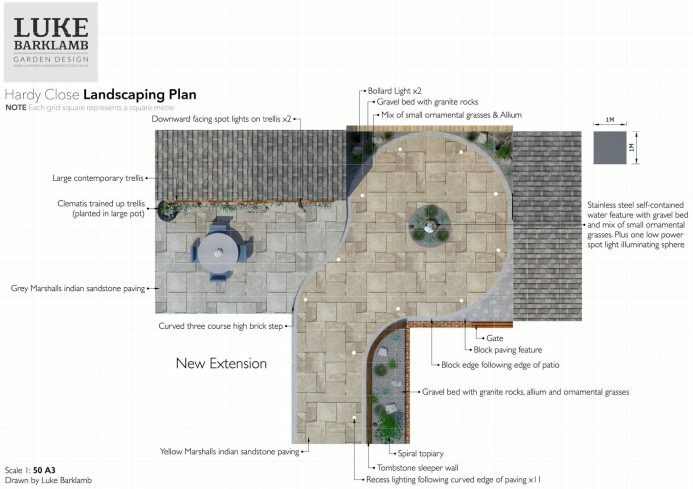 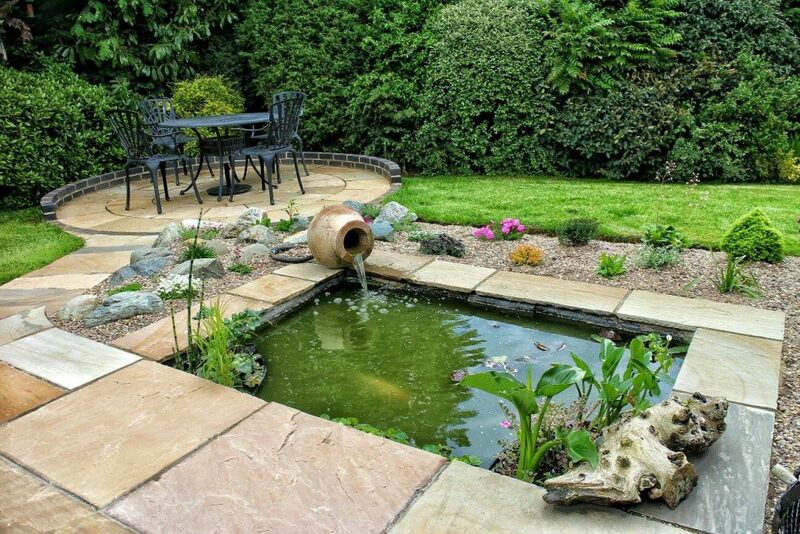 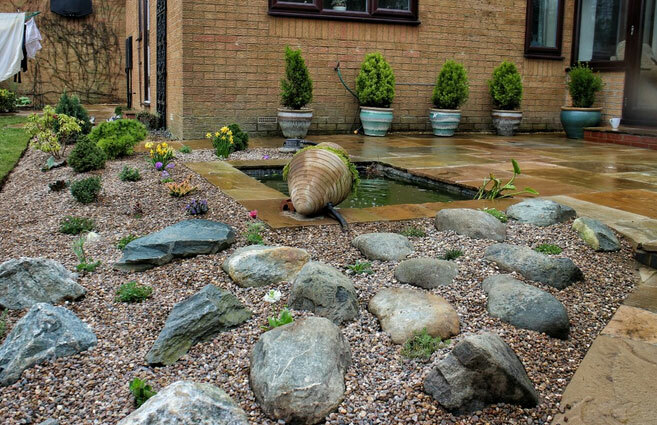 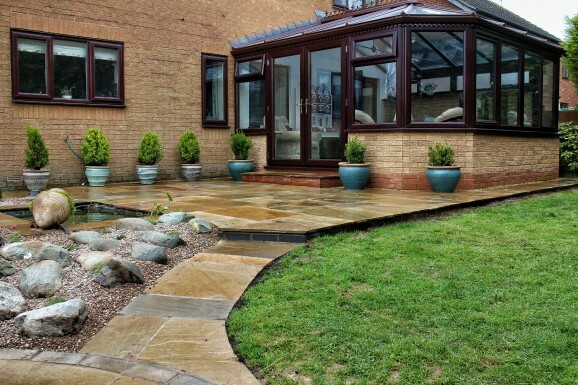 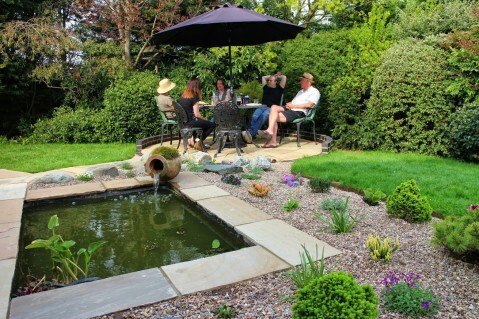 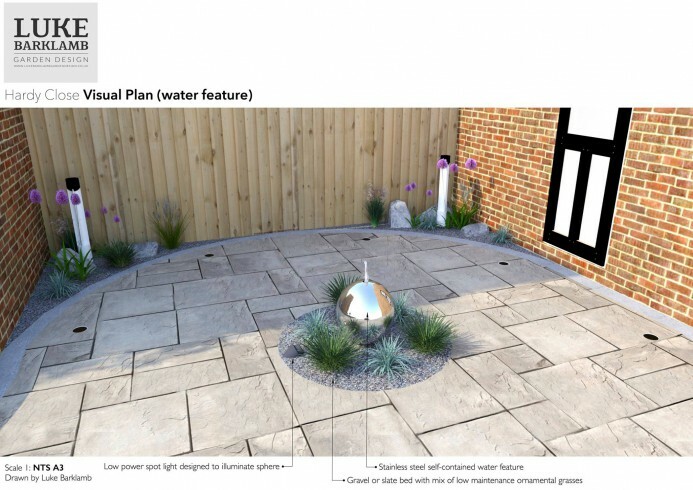 A redesign, which incorporates already existing features, including a pond. 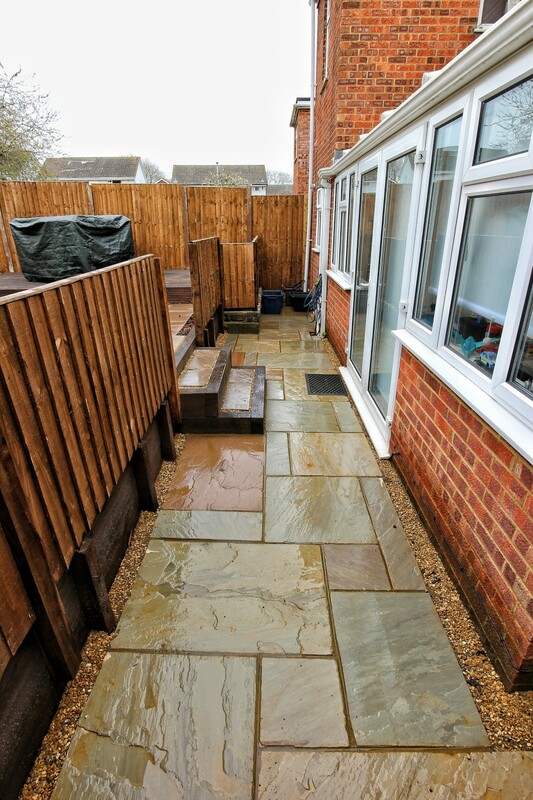 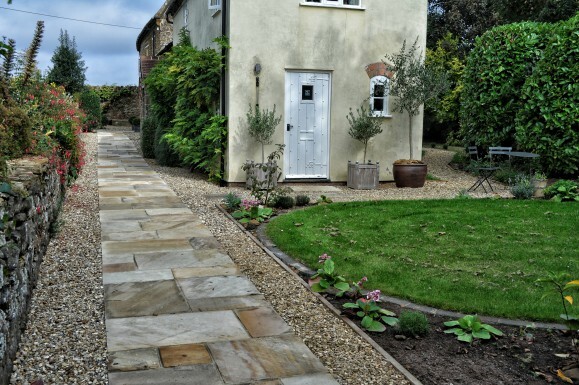 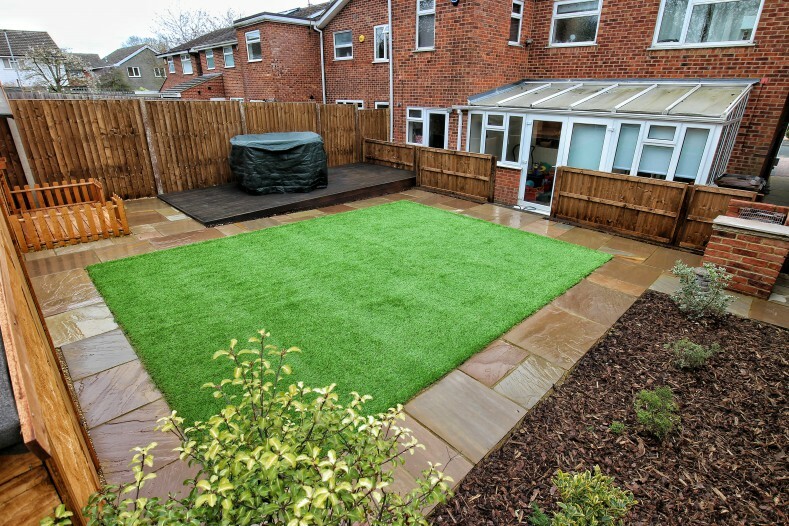 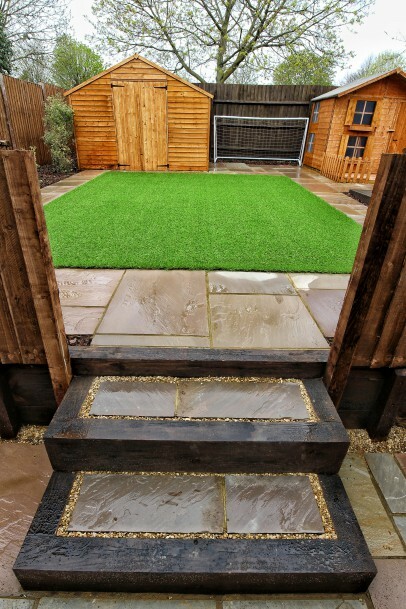 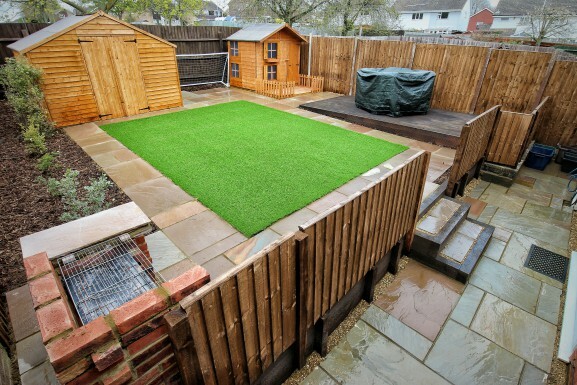 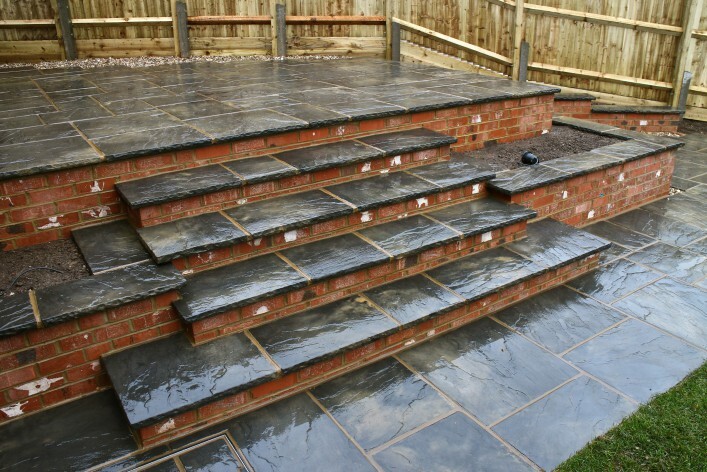 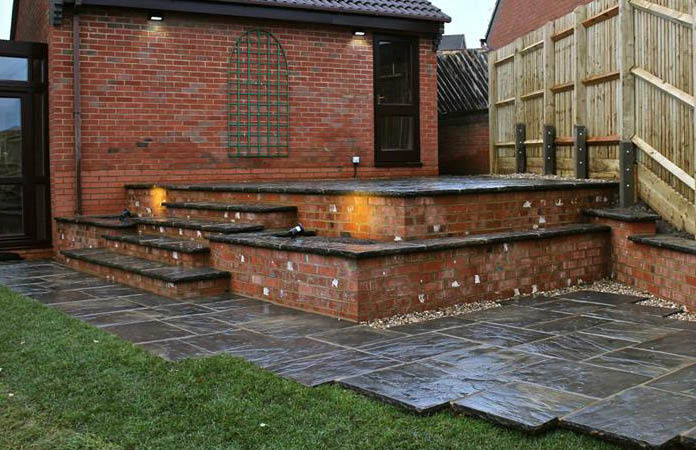 The owners were keen for the previous layout of paving to be kept. 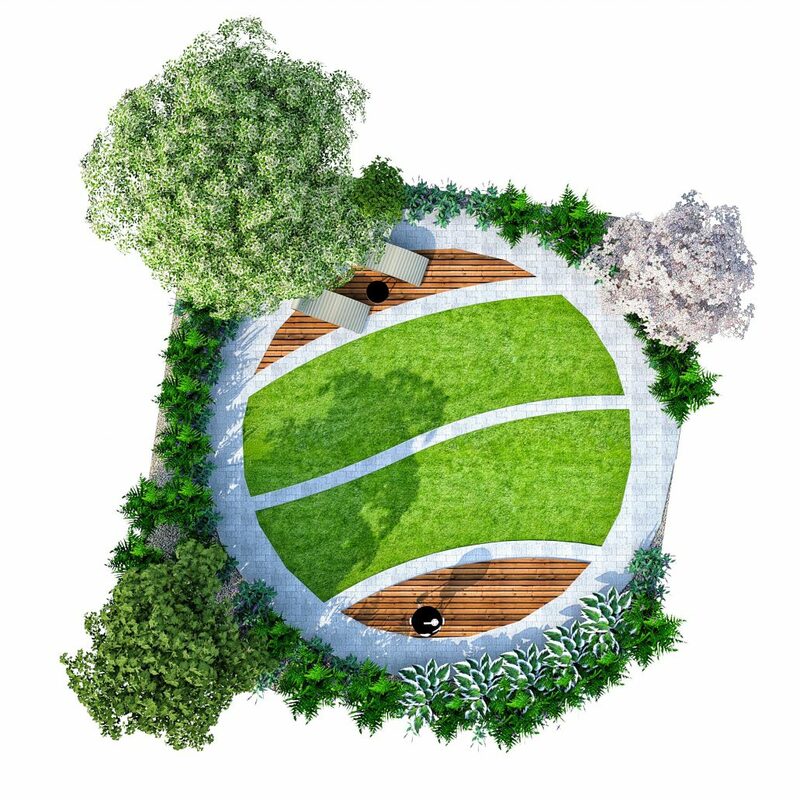 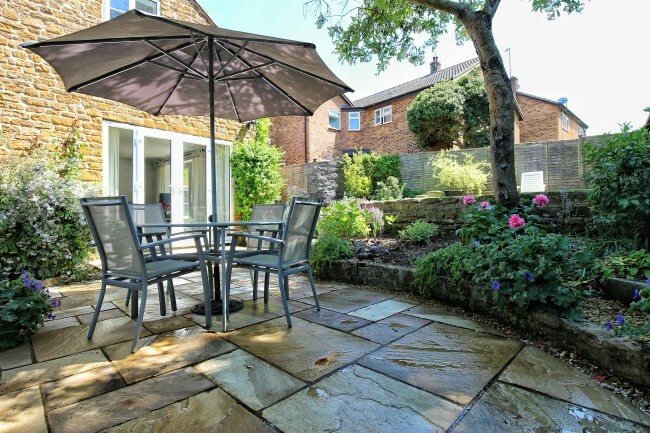 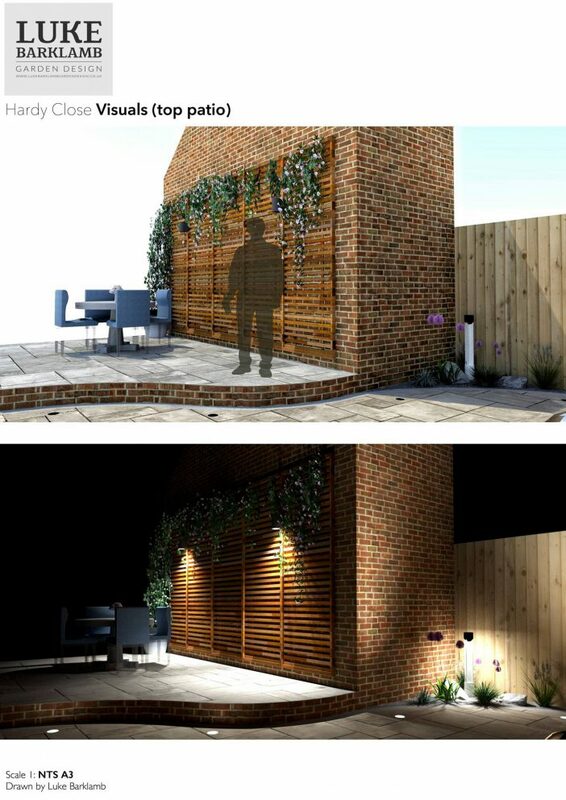 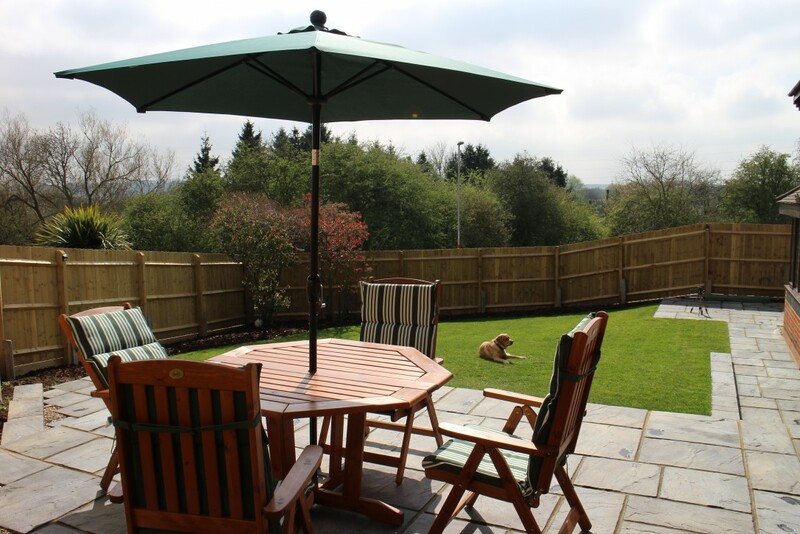 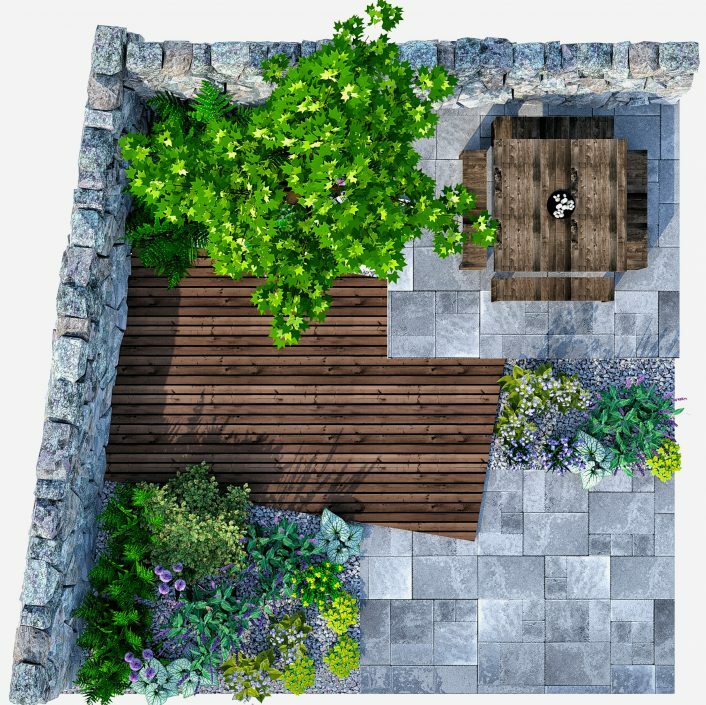 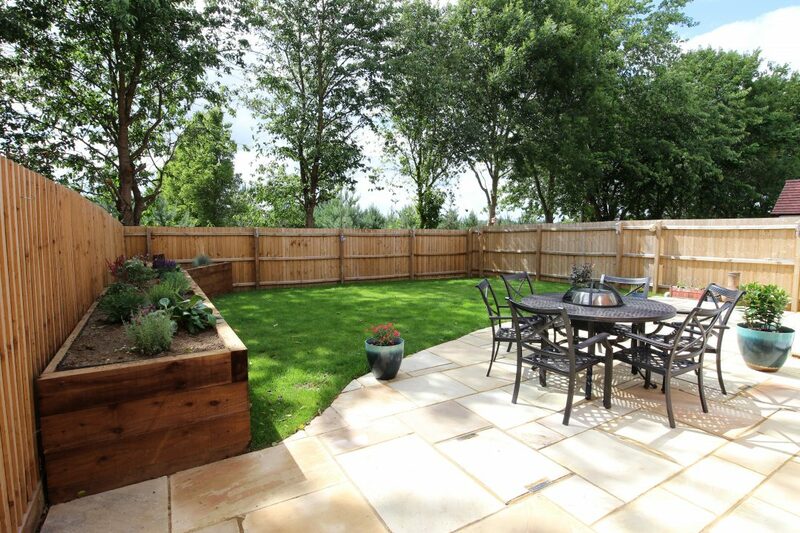 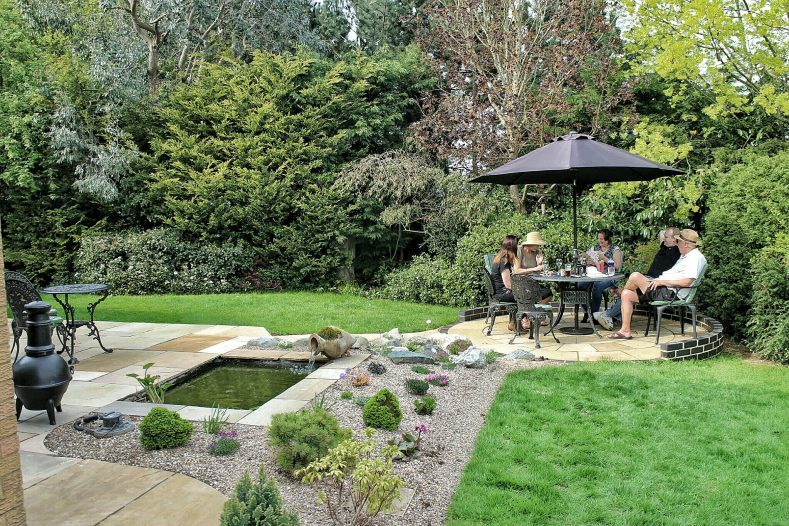 The positioning of the circle feature maximizes the most amount of direct sunlight in the garden. 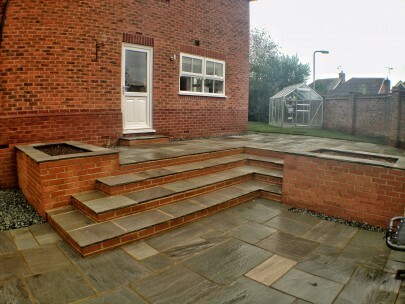 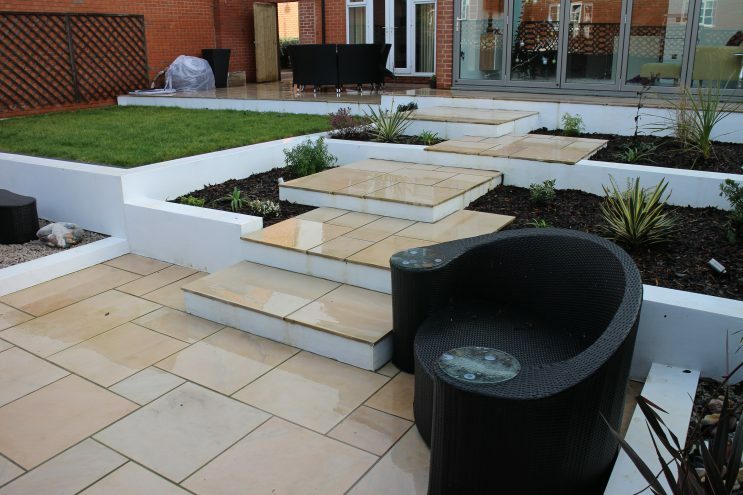 A contemporary design incorporating beautifully cut pale Indian sandstone and white rendered walls. 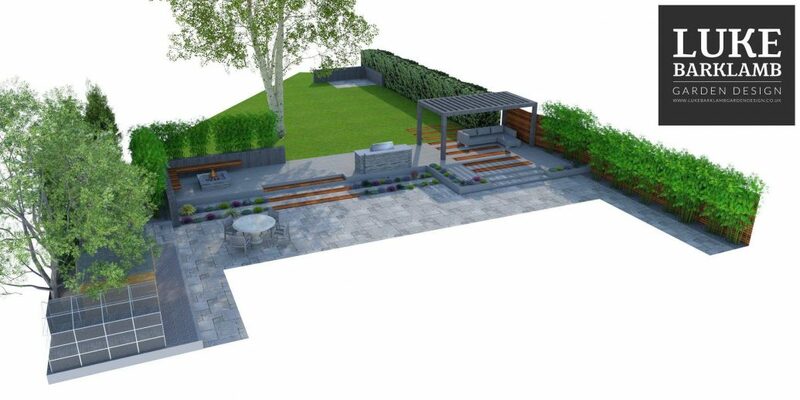 The clients primarily want this space for entertaining purposes. 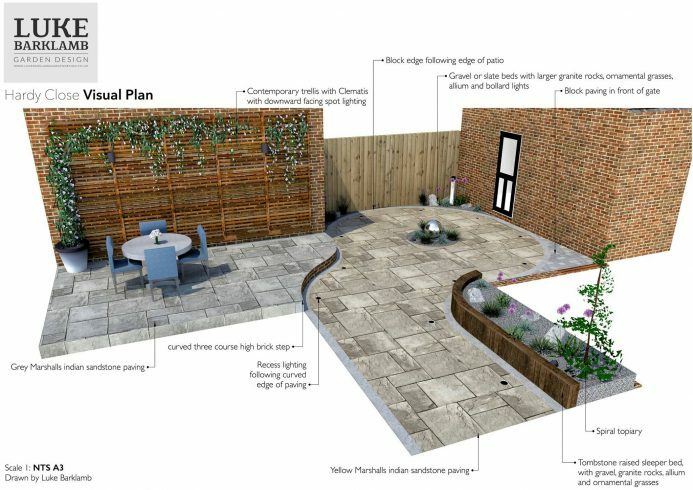 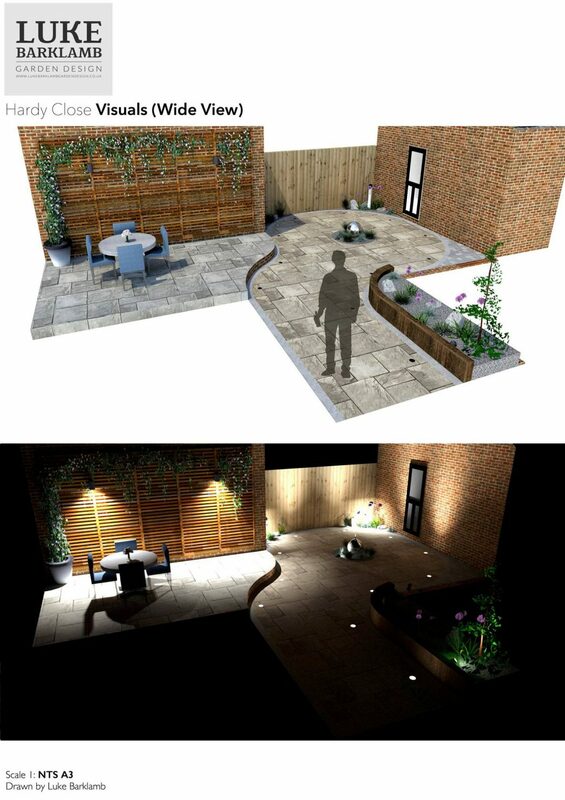 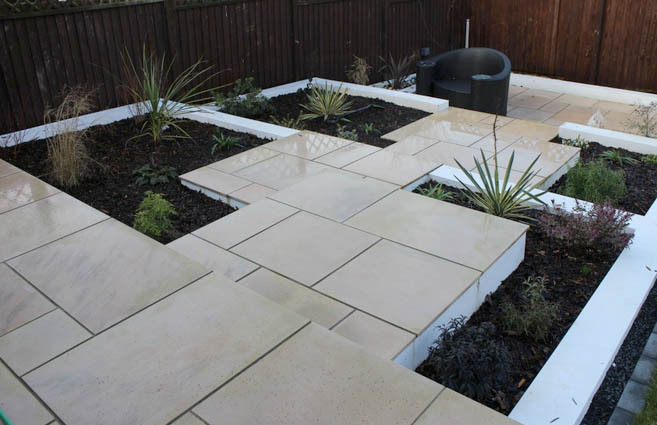 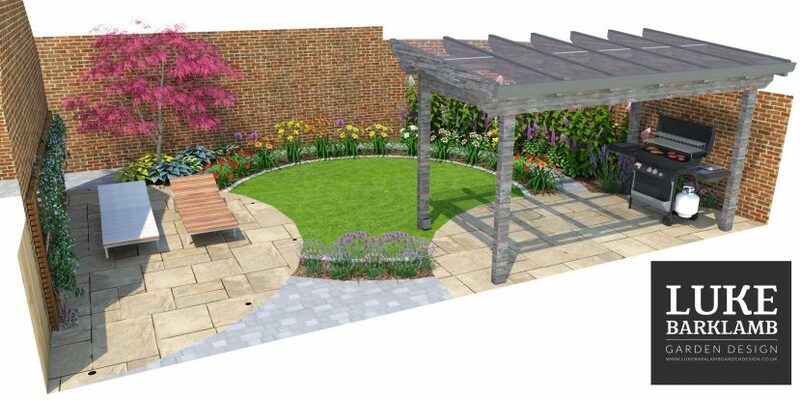 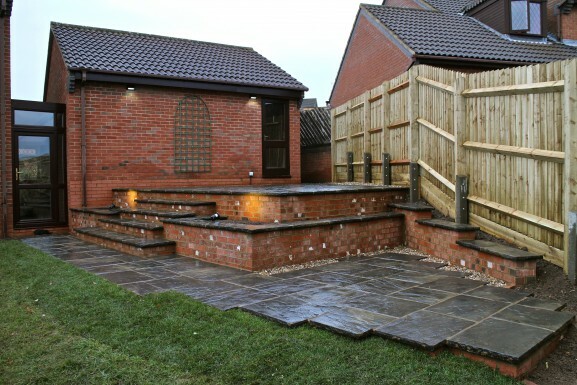 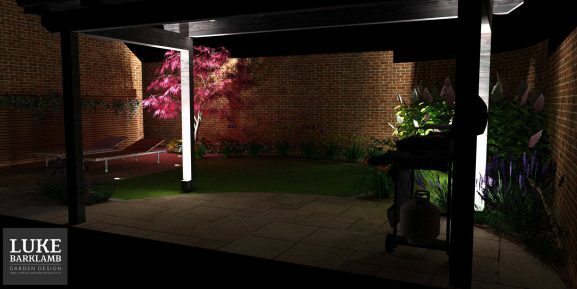 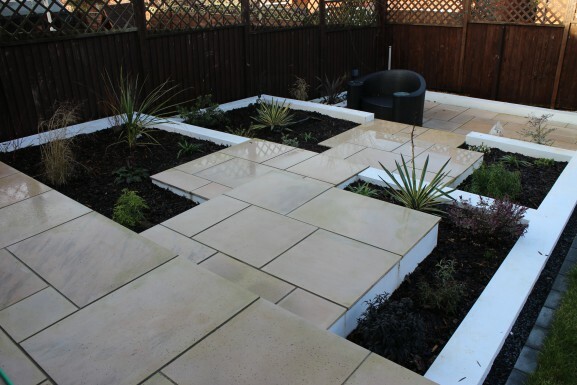 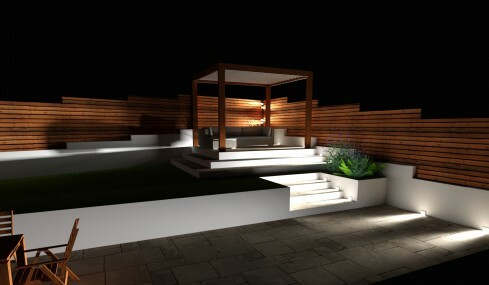 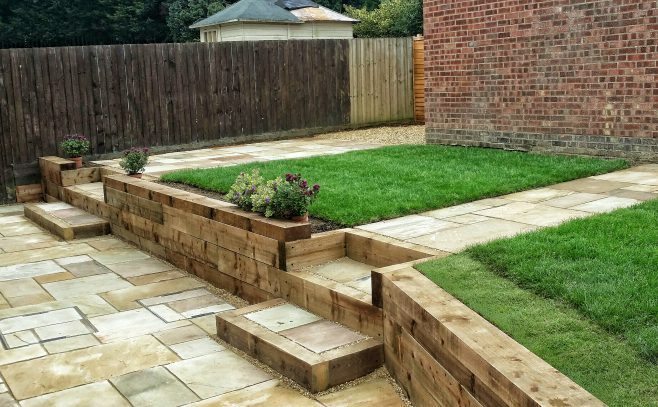 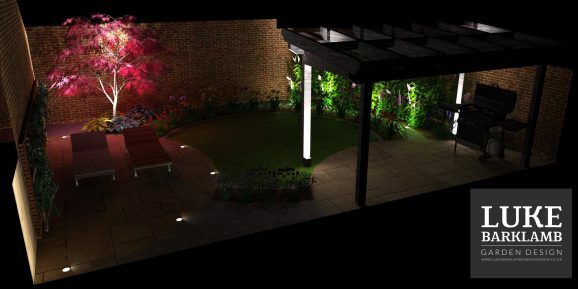 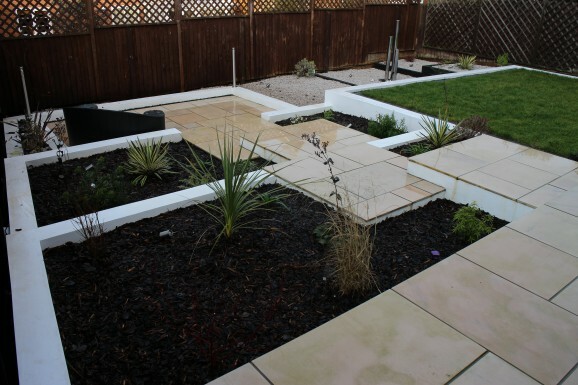 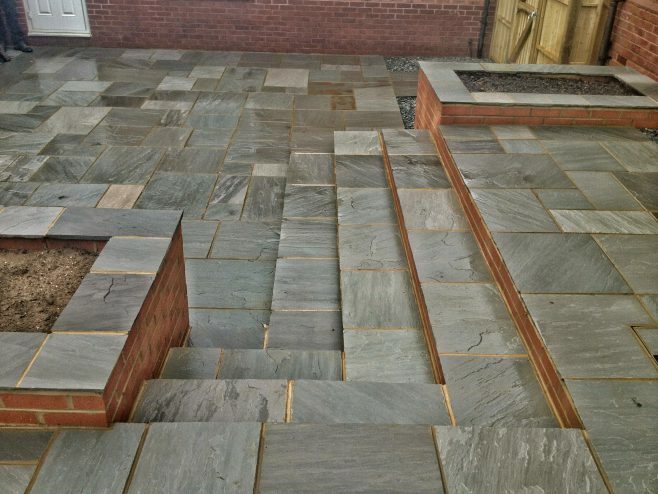 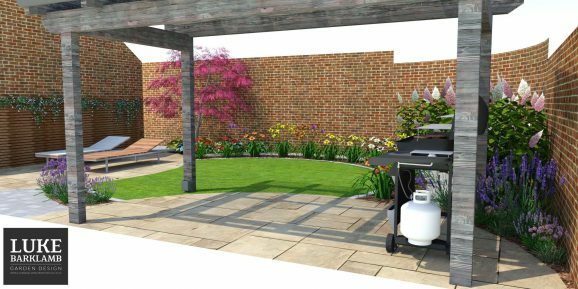 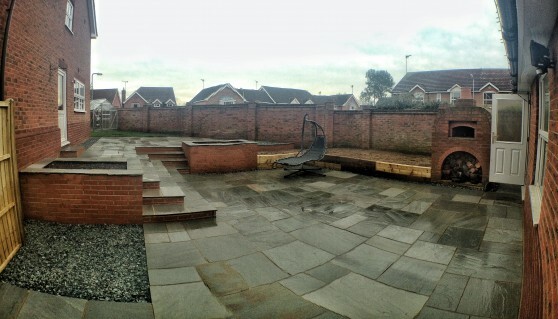 The natural slope of the garden contributes to the final design, splitting the space into two main sections.